Step by step. 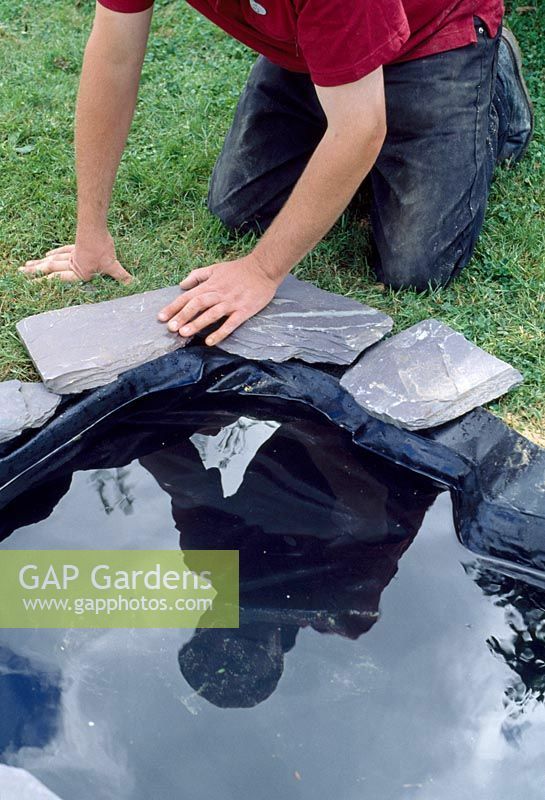 Building a pond with a rigid liner. Step 11. Add slate surround. Image 0172933 has been added to your cart.